Disinfection of empty rooms, walls & floors by fogging. Disinfection of tools and equipment. No traceable residue in the crop. Odourless, colourless, non-corrosive at usage levels. Prevents clogging of the watering system by breaking down biofilm. Reduces the need for crop protection products. Ensures optimal supply of fertilisers. Optimises water use (recirculation, flow, drainage, recovery of fertilisers). Prevents the growth of algae. User-friendly, simple and versatile to use. Check out our Huwa-San Horticulture video! 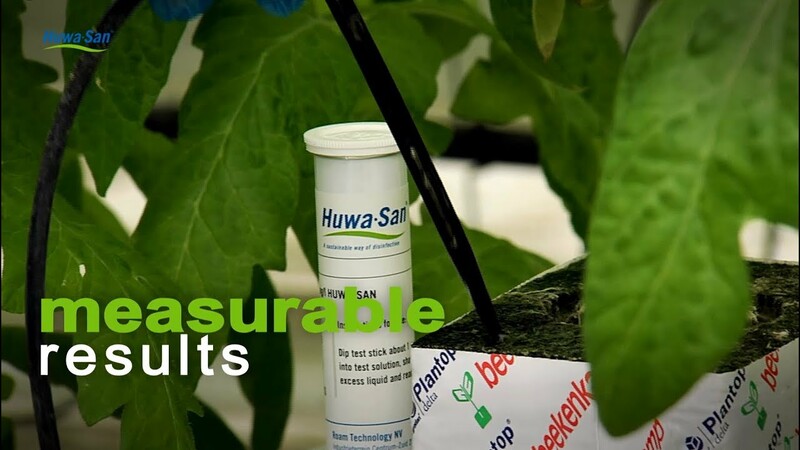 Watch this video to learn more about our Huwa-San Horticulture disinfectant product.